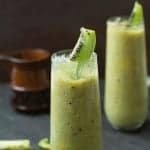 Recipes which are made with fruits. Includes, salads, desserts, juices, milkshake, smoothie etc. Very healthy and the recipes mainly focusing on kids.